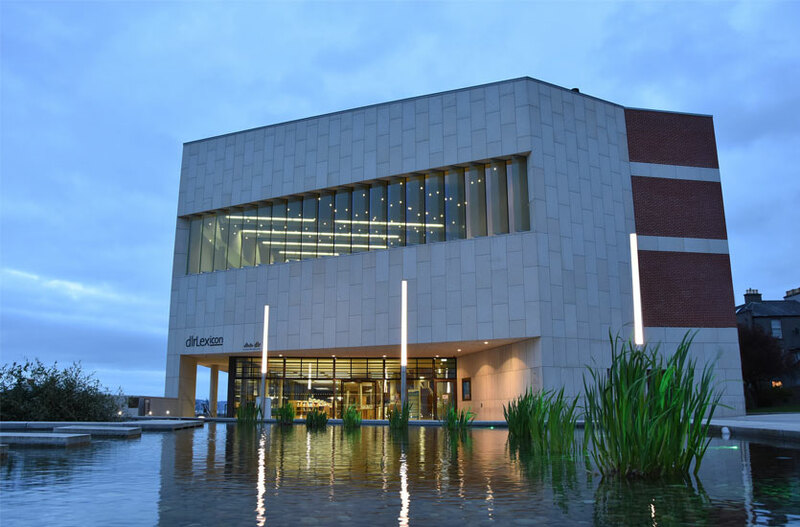 Six Stainless Steel illuminated Wands were supplied to the new Dun Laoghaire Library in April 2014. Using 70w Par Metal Halide lamps, the acrylic lens is illuminated at night time to provide an attractive visual effect as well as some local lighting. (This Luminaire is now offered with 32w Par LED to provide a similar effect). The Wand is offered in Rooted or Flanged Version, and with semi-satin toughened acrylic lens (as above) or clear polycarbonate. Various heights are offered as well as RGB (colour changing illumination).